The sound of gulls screeching overhead as they dive across the boats and the lobster pots, the smell of the sea and the lapping of the water as the tide comes in. 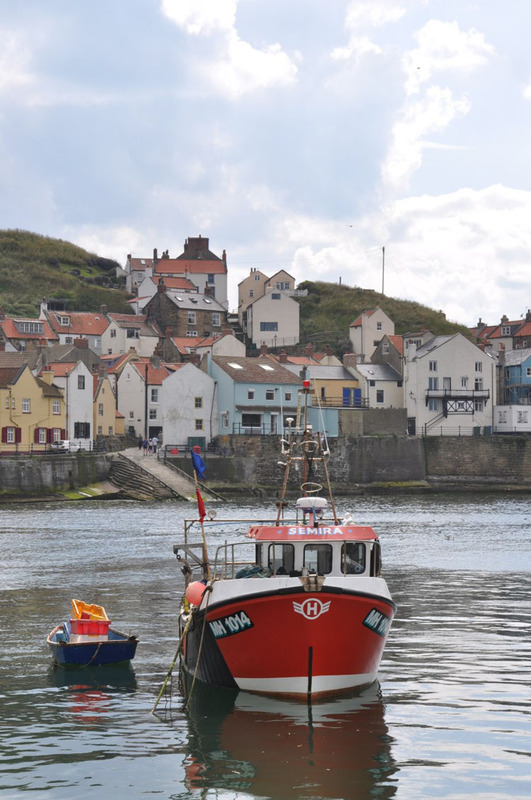 Staithes is probably the most atmospheric of the North Yorkshire fishing ports, and the most northerly – the border with Redcar and Cleveland is Roxby Beck that runs down to the sea. 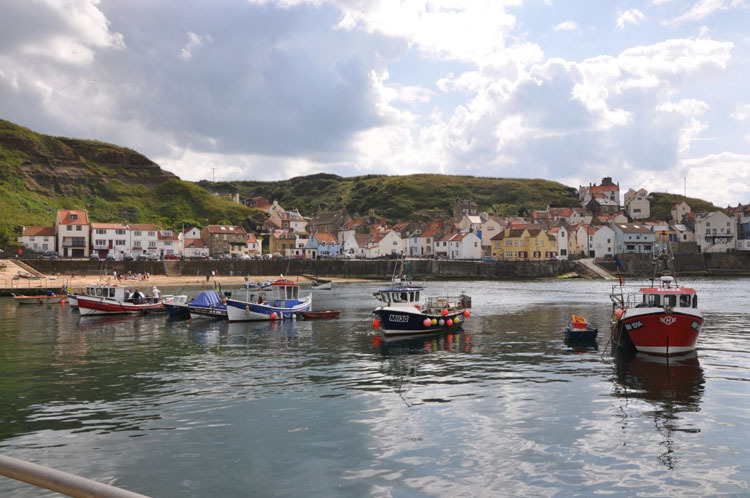 Still a mixture of day trippers – children building sand castles on the beach when the tide is out – and locals, it has retained its charm despite the number of holiday lets and is part of the coastal stretch of the North Yorks Moors National Park. 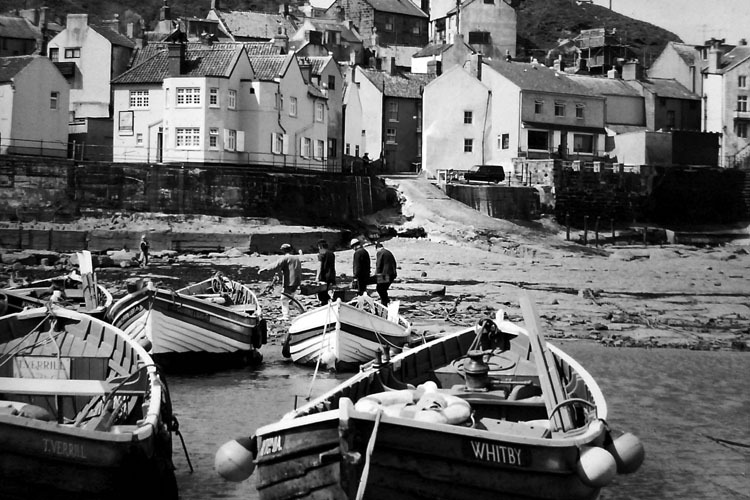 Staithes was a fishing port with over a hundred boats at the turn of the 20th century. 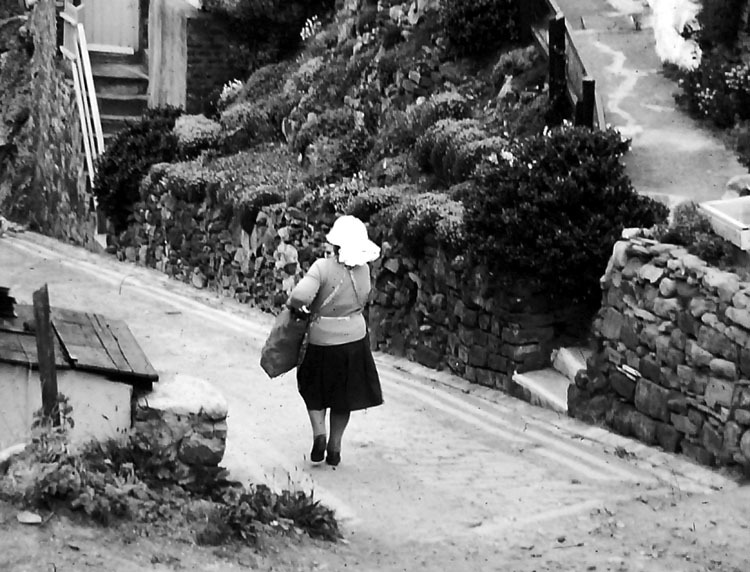 Today, there may be only one, sailing the traditional Staithes cobble. 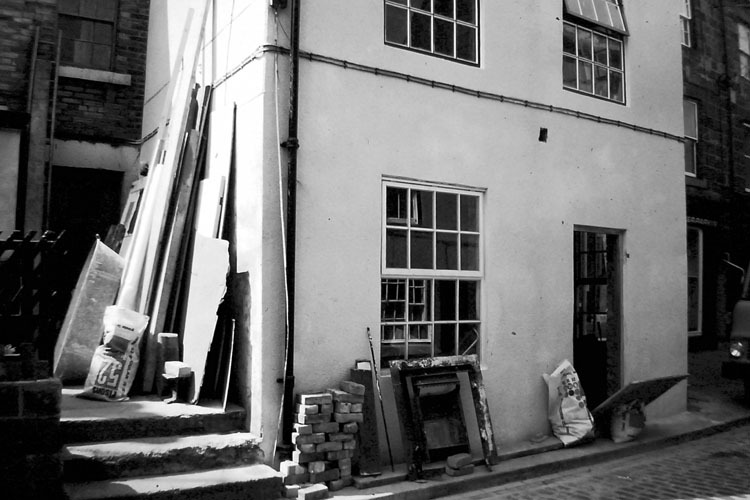 Staithes also had its own artists’ group in the 19th century, followers of the French impressionist school. 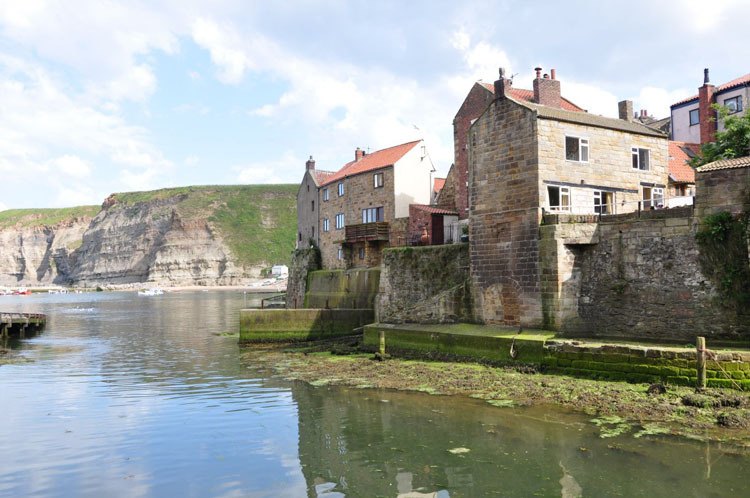 Staithes is at the bottom of a steep hill, with the car park at the top. 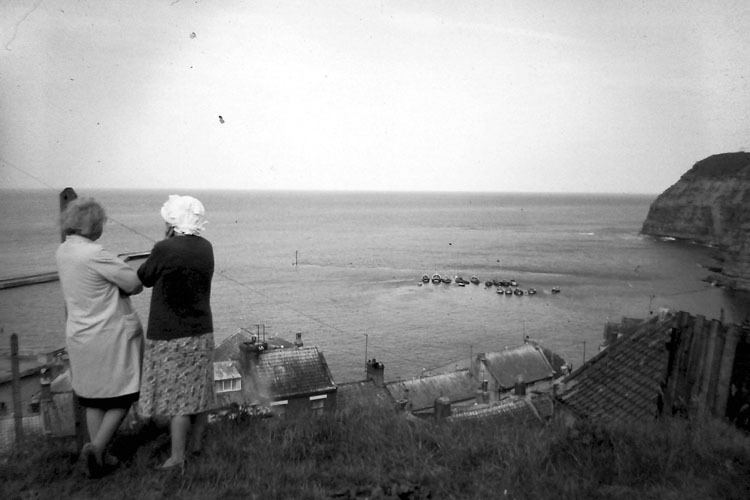 In the 1960s the local authority built new houses at the top of the hill – unimaginative semis – but they were popular, and the cottages started to become derelict and the way of life – the lobster pots and the Staithes bonnets – were being lost. 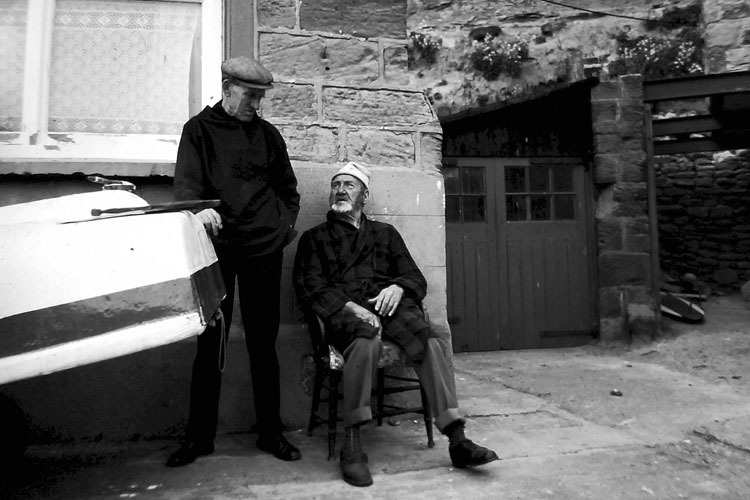 Local folk singer Vin Garbutt celebrated it in “Streets of Staithes’ on his 1972 album “The Valley of the Tees”. Trailer LER 2078. We took a series of monochrome slides in the late 1960s, and a few are included here. The Endeavour Restaurant can be found at the bottom of the hill, on High Street. 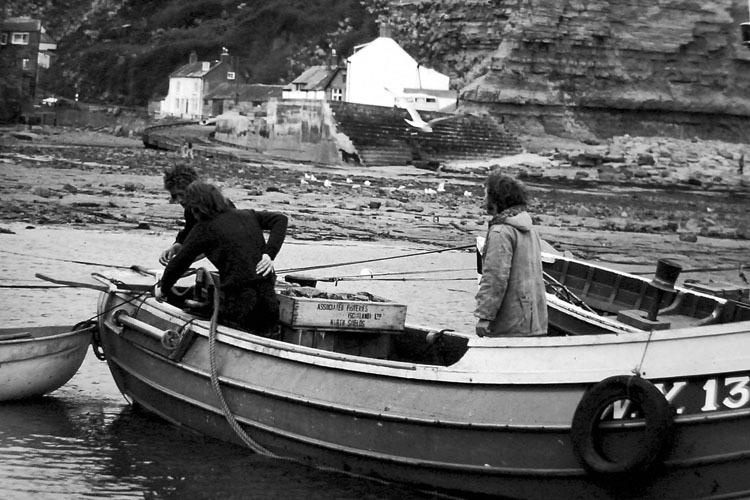 Originally run by an adventurous couple, it cooked excellent seafood caught in the harbour or just outside – sometimes as part of their “catch and cook” venture for their patrons – a day fishing and then back to the kitchen to cook your supper. Simple and elegant, it was a triumph. Alas, despite having four bedrooms [and with a nice decanter of sherry in each room] it closed. Now reopened under the control of Lou Cox and his mother, life is breathed back into the building. Untried in its new guise, it’s worth a look – even if for the atmosphere alone – waking up to the sound of the gulls nesting on the cliffs. 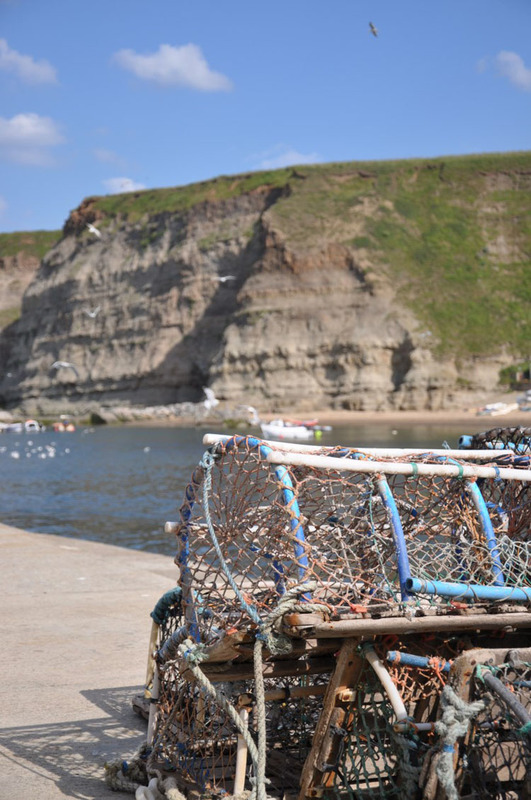 Good walks along the cliffs to the Royal at Runswick for a prawn sandwich and a glass of ale.